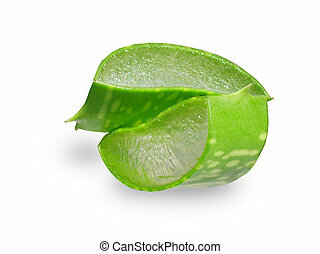 Aloe vera plant pieces. 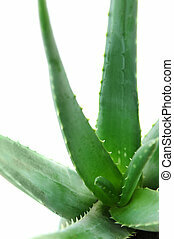 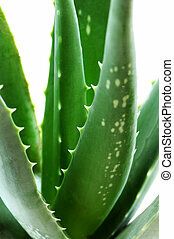 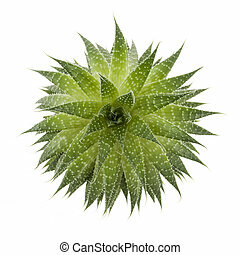 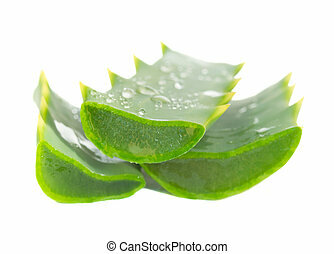 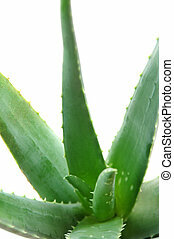 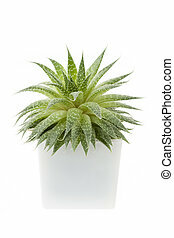 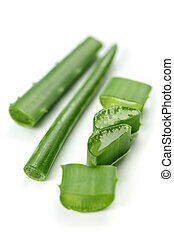 Closeup of aloe vera plant pieces isolated on white background. 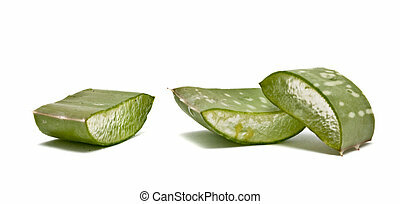 Cut pieces of aloe vera on a white plate. 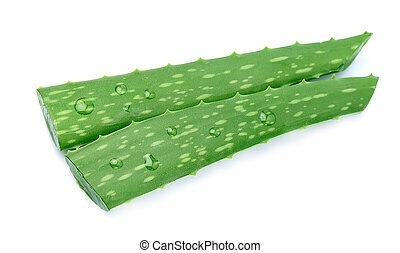 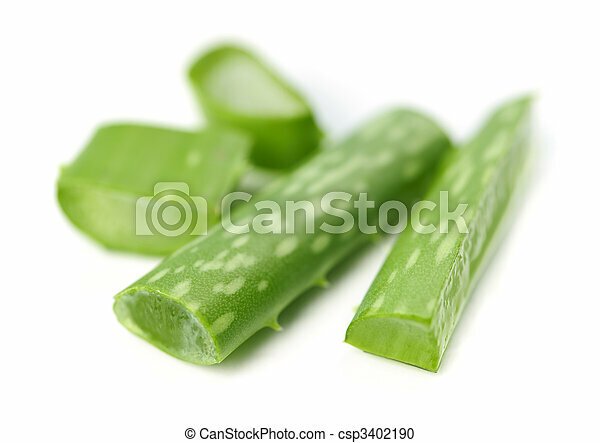 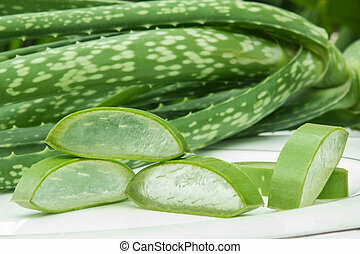 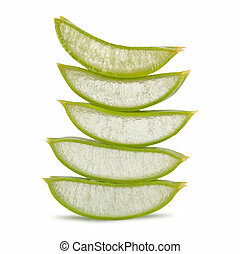 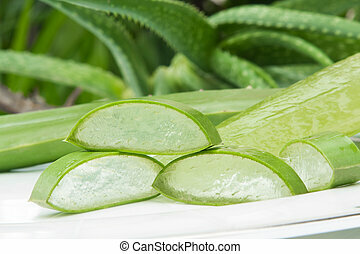 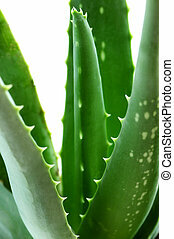 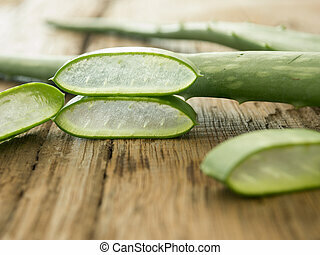 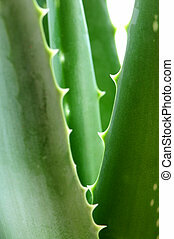 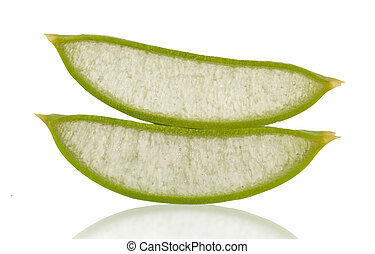 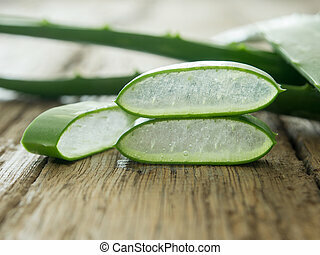 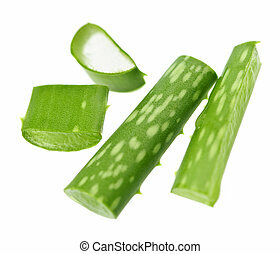 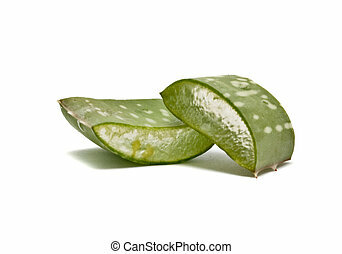 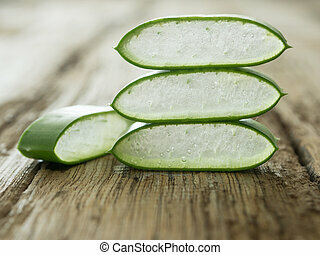 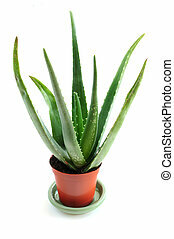 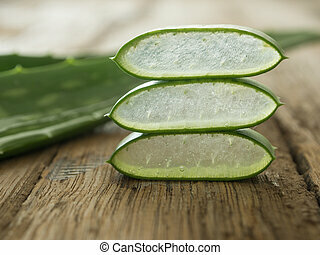 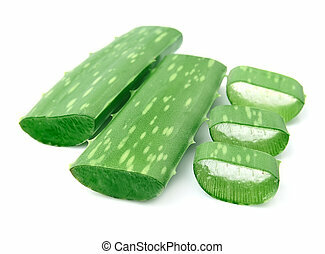 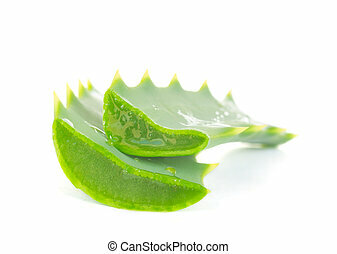 photo of some sliced Aloe vera.